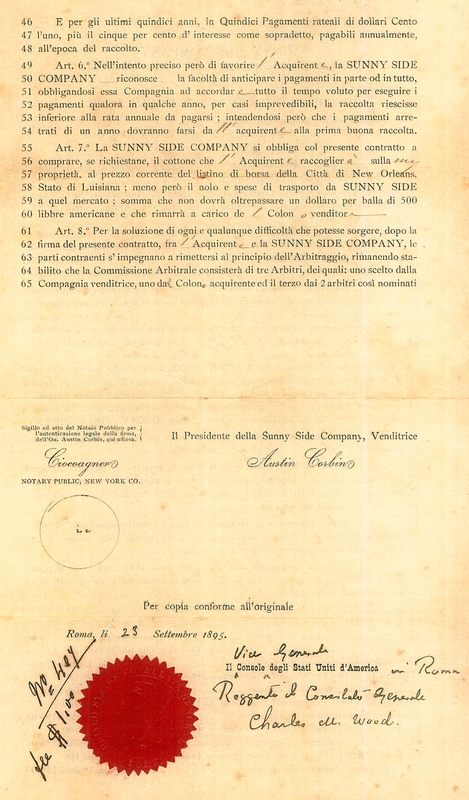 This is the contract which the head of each Italian family signed to work at the Sunnyside Settlement & Plantation for two years. This particular contract is for the Sabatino Marchi family. This biography of Peter details his life as a businessman and inventor. This is a 1930 newspaper article about the robbery of L. Zulpo's Grape View Station in Knobview. This is a 1928 newspaper article about Teresa Piazza (wife of Matteo B.) raising silkworms and making silk. Elvira Gherardini also made silk in Knobview/Rosati. Rosati was featured in articles which appeared in three different Italian magazines, all published in the areas where the majority of Rosati's Italians were from. The magazines are for the towns of Valli del Pasubio, Staro/ Sant'Antonio and the province of Vicenza. Click on the links above to read or save PDF files of each article. Thanks to all three publications. List of Knobview Settlers Who First Immigrated to the Sunnyside Settlement, and the Two Dates They Arrived in the U.S. This list makes it easy to see who came to the U.S. together on the same ship. This is the first group of Italians who immigrated to the Sunnyside Plantation in Arkansas, with most going later to Knobview and Tontitown. Right click to download and save a zipped copy of the manifest. Be aware that the handwriting is poor and many of the names are difficult to read. 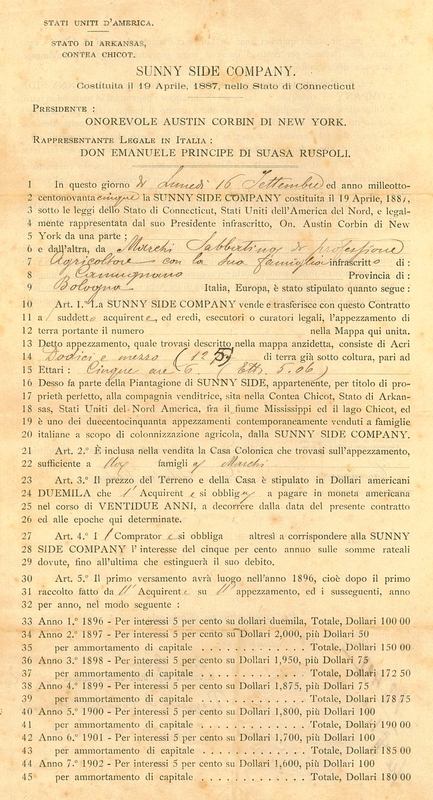 This is the second group of Italians who immigrated to the Sunnyside Plantation in Arkansas, with most going later to Knobview and Tontitown. Right click to download and save a zipped copy of the manifest. Right click to download and save a zipped file of the original census. Be aware that some first and last names were reversed and misspelled, and along with very poor handwriting, resulted in unfamiliar family names, missing families and unreadable names. Due to the communication problem between an English speaking census taker and families who spoke only Italian at that time, ages and dates on this census should not be trusted. Click below for an accurate and readable list of names. This is a highly edited list of names in the same order as they appear on the 1900 census. Use this list to identify unreadable or unknown names on the original, handwritten census. Be aware that many of the names are misspelled. This is a map of the locations of the Italians' homes and farms in the early 1900s. An article from the Feb. 5, 1898 issue of The Arkansas Gazette concerning Italians who are settling near St. James, Missouri.